We are preparing for the second alternative prom. An evening of performance and celebration accessible to all. With GCSE’s in full swing, prom is just around the corner, which means we are hard at work arranging our Alternative Prom for June 28th, 2018. The night will focus on making a prom that any young person could attend, regardless of place of education, needs, or background. 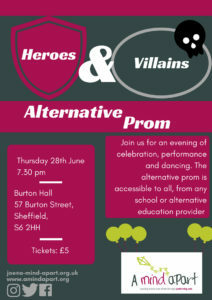 Our Hero’s and Villains Prom is the second Alternative Prom by A Mind Apart. 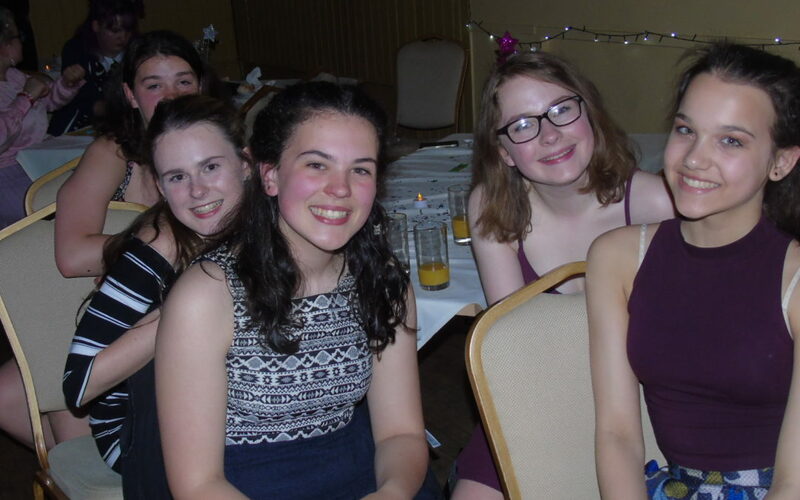 The first Alternative Prom, ‘A Night with the Stars’, was an enjoyable night for all who attended. The theme this year will be Heroes and Villains, creating an evening of heroic crime fighters and dastardly geniuses. The theme was chosen by our students, who have been actively involved in the decision-making process. The event will include performances by groups of students attending and an open mic to allow students the opportunity to perform in front of their peers. The rest of the evening will then be music, dancing and food. Heroes and Villains: An Alternative Prom will run on 28th June 2018 at 7.30 pm at Burton Hall. We are welcoming all young people from across Sheffield to join us for this fantastic evening. More information will be announced on our Facebook and Twitter in the lead-up to the event. To book tickets for this fantastic event, email joe@a-mind-apart.org.uk or call 0114 232 1172.